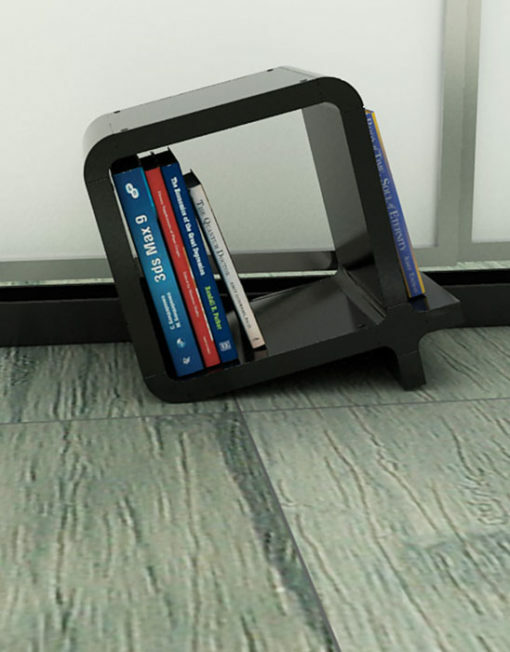 The Q shaped storage cube set of 2 from Expand Furniture is a fun way to display smaller items or store books and magazines in a convenient, stylish manner. 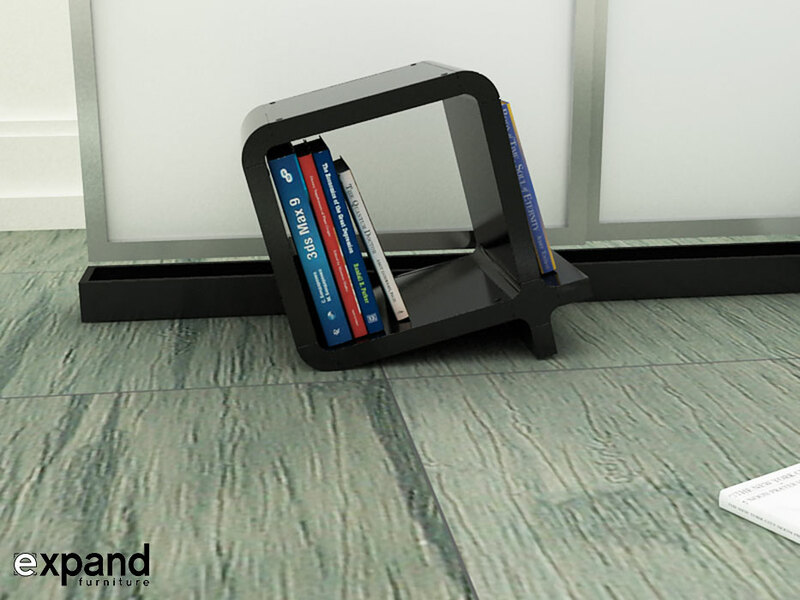 Sitting on the floor at a slight angle it is a truly functional eye catcher. 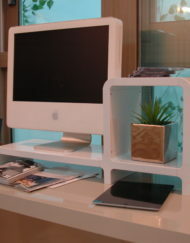 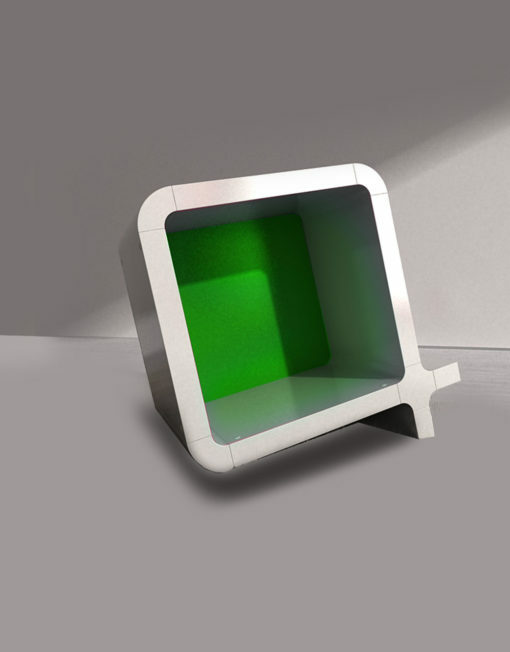 The 2 Q-cubes come in white or black and include a light green and blue back panel for an optional touch of color. 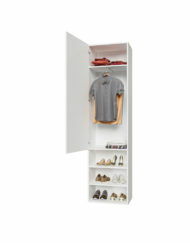 It easily fits into any home and as an added bonus they are exceedingly easy assembly. 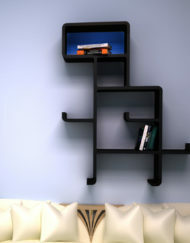 The separate panels join together and are locked in place with sturdy pins. 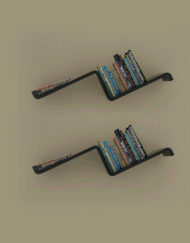 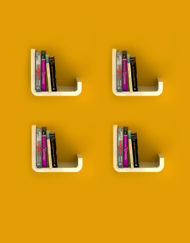 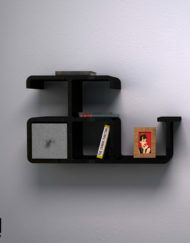 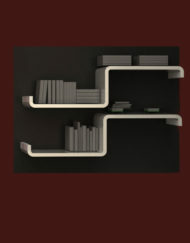 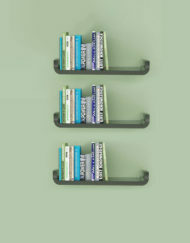 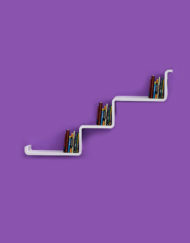 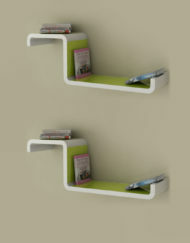 Use it as a fun side bookcase next to a sofa, an accent piece in the living room or as a display. 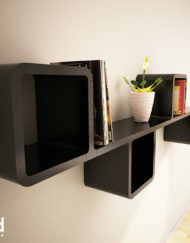 The Q shaped storage cube set provides a fun and visually appealing way to display personal items, books, magazines, photographs, trinkets and more. The tilted design gives the simple cube an edgy yet classic look. 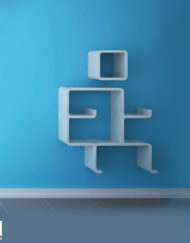 You can use them on their own or combine the 2 cubes into something else. 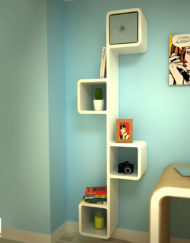 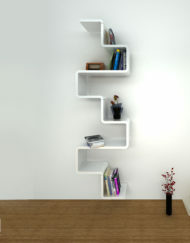 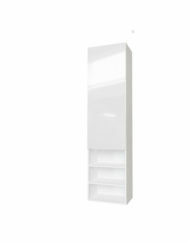 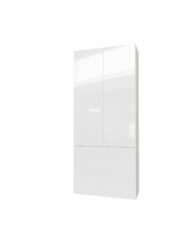 The non­toxic and water resistant plastic components make it a shelving unit that will have a place in any room. 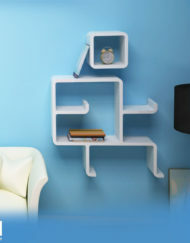 Kids’ toys, toiletry items, office supplies and more will find ample space on this small yet sturdy shelf. 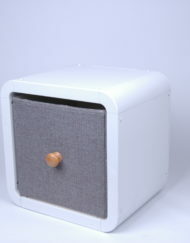 We love this cube because of its unique style as well as its ability to be deconstructed for parts and refashioned into something unexpected. 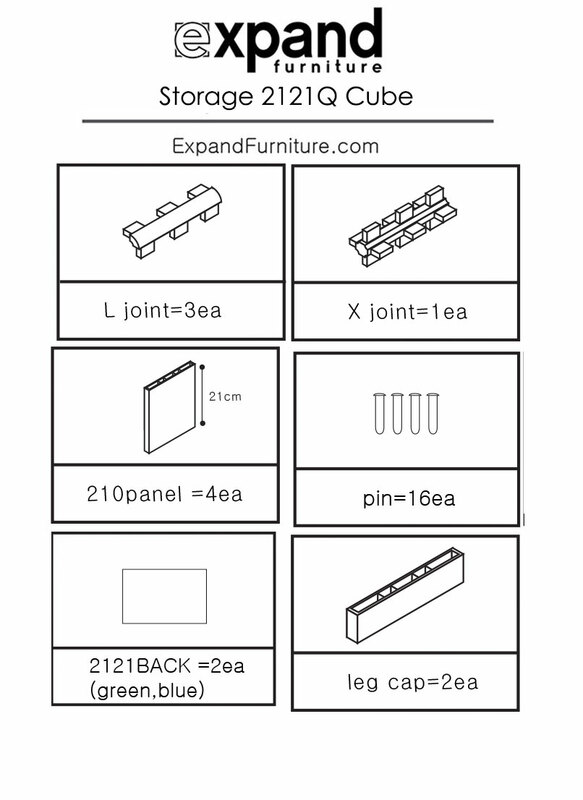 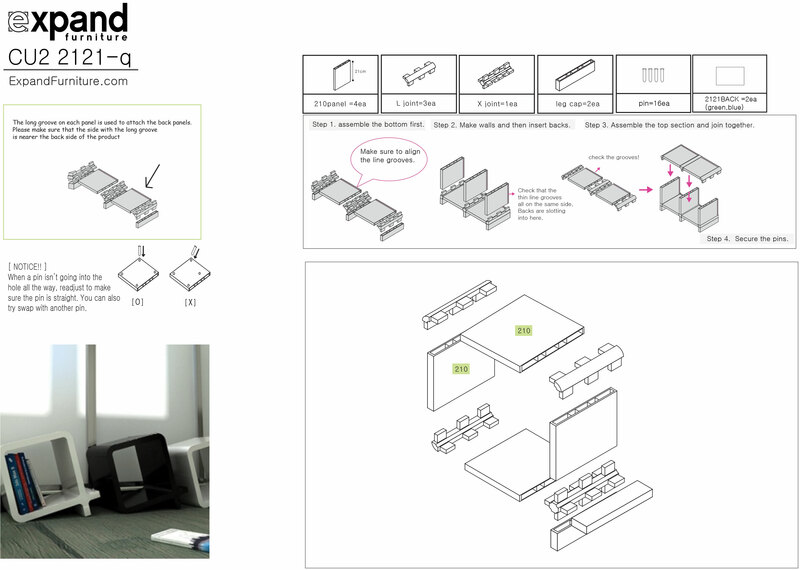 Whatever suits your style and needs, you can create it with the modular systems from Expand. 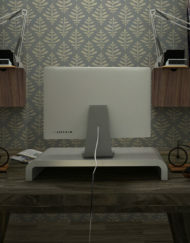 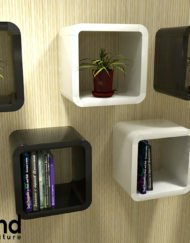 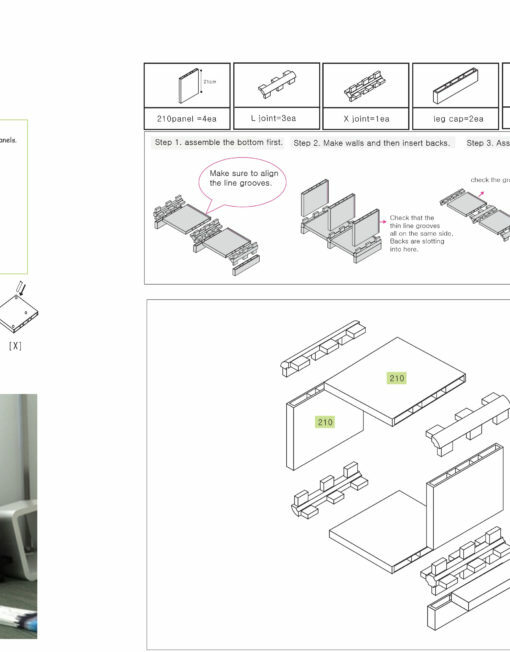 Like the Dinosaur modular unit, the two Q-Cubes also come with two decorative back panels. 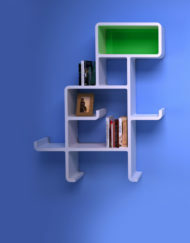 (1 in a dazzling blue and 1 in friendly green.) 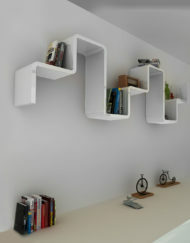 This unique storage system will help you to organize any area of your home. 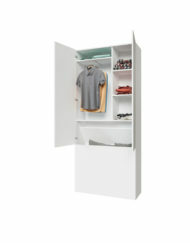 This little multi­tasker is proof that functionality can be visually attractive. 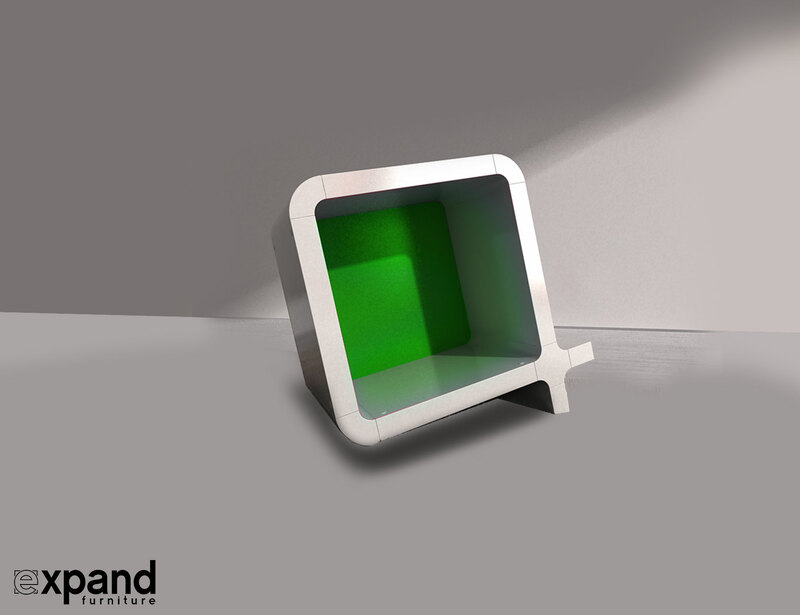 Finished in either Black or White, the 2 Q-cube set also includes 1 blue back panel and 1 green black panel. 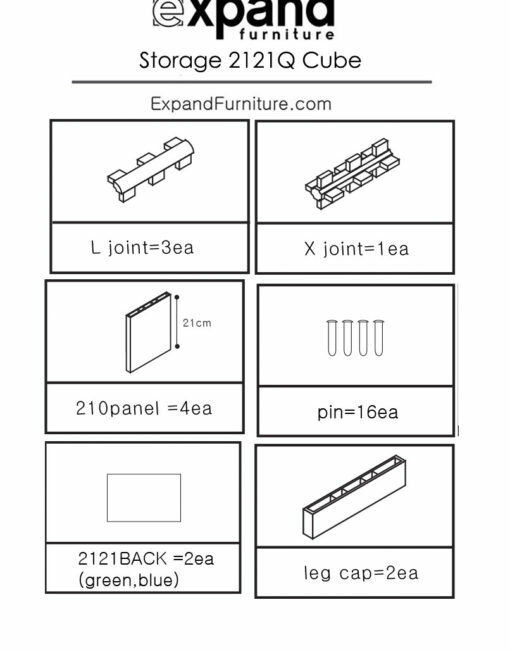 The panels are optional and do not have to be inserted.